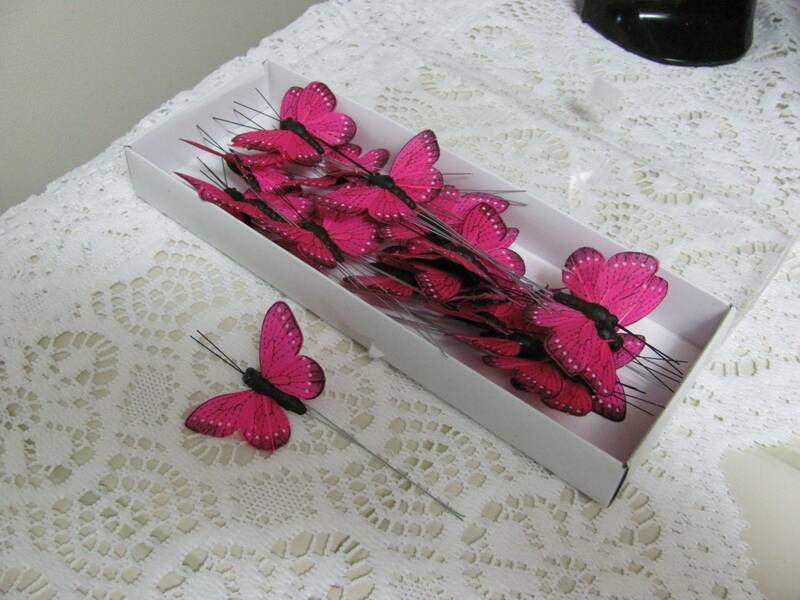 Dark pink artificial Craft butterflies 1 box of 24 dark pink butterflies. Each butterfly is approximately 2 inches wide and is on a wire. All the same shade. Only 1 box available.